Get the most out of Fort-Mahon-Plage with your family at the water park in your campsite in Baie de Somme with an indoor, heated swimming pool! 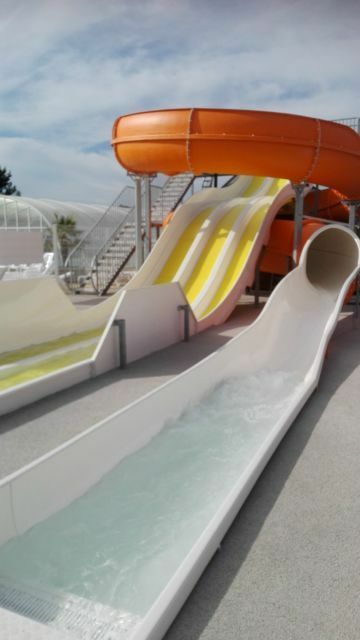 Dive, swim and have fun in the big indoor pool, the outdoor pool and on the water slides where everyone is sure to have fun! 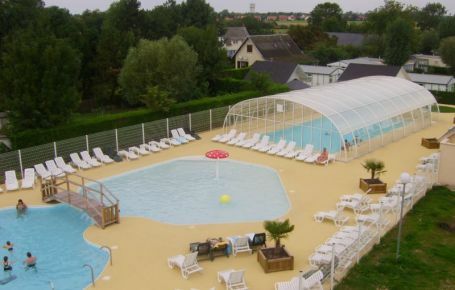 In our campsite, you can enjoy the swimming pool all through the season! 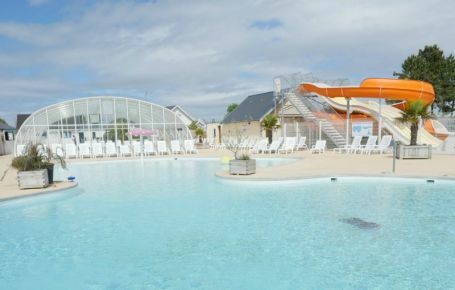 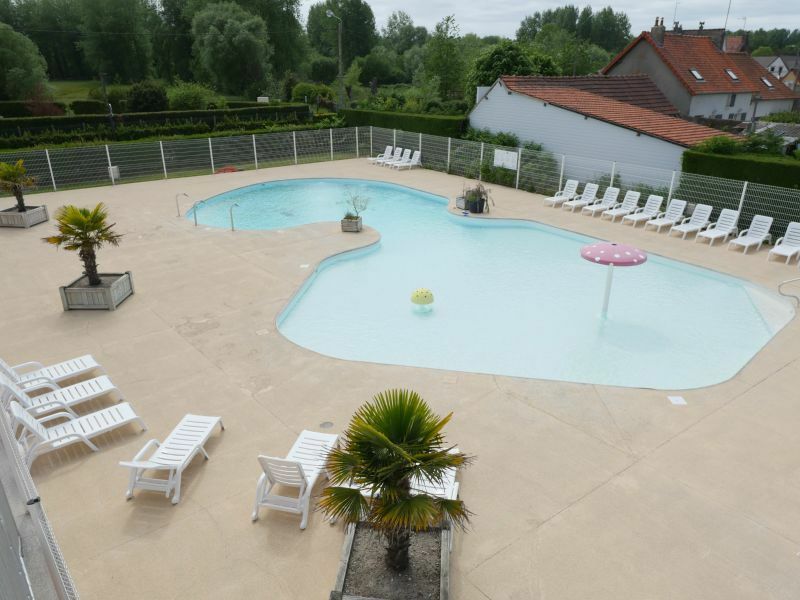 The advantage of a campsite with an indoor, heated water park in the Somme region is that you can swim in water at the ideal temperature all through the season. 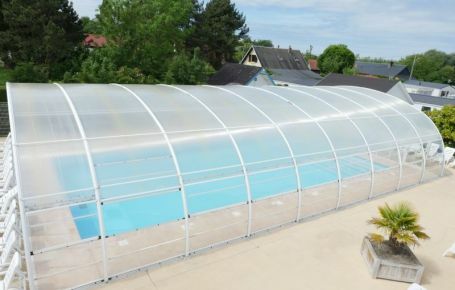 To make sure you can get the most out of the water, whatever the weather, the pool is covered and heated from April the 6th until it closes on 31 October! 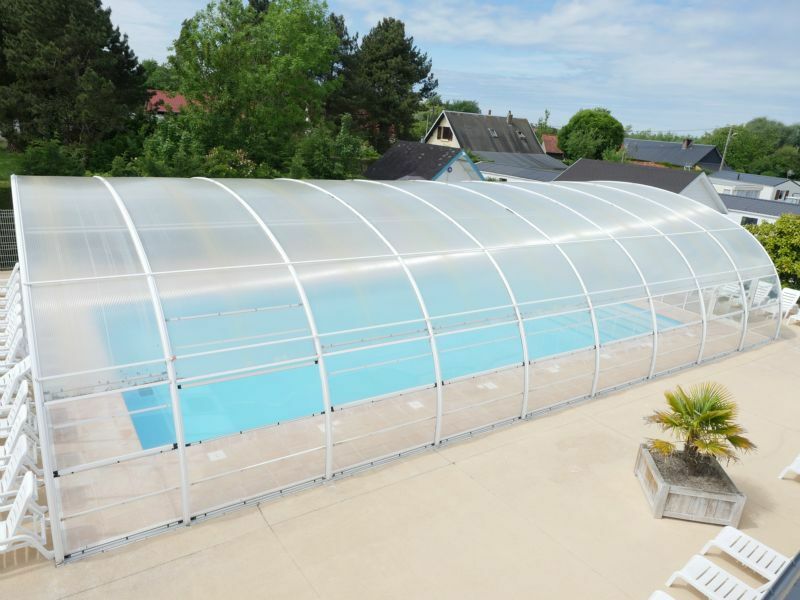 In the morning, head for the swimming pool to swim a few lengths in peace and quiet or take part in a water aerobics session. 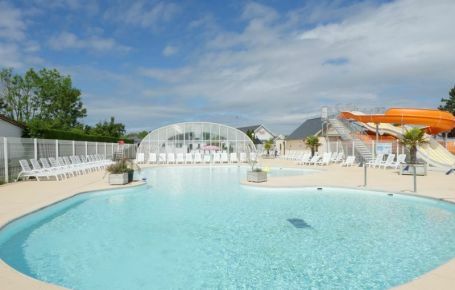 In the afternoon, come and relax next to the water on the deckchairs on the terrace, take a refreshing dip when the Hauts-de-France sun is at its height or work off your energy during a game of water basketball. 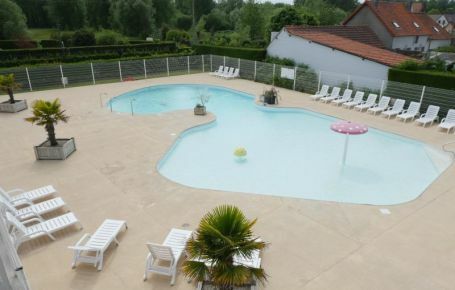 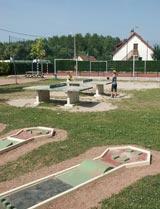 As for the children, they will be delighted to splash about in the paddling pool or under the bubbling water mushroom! 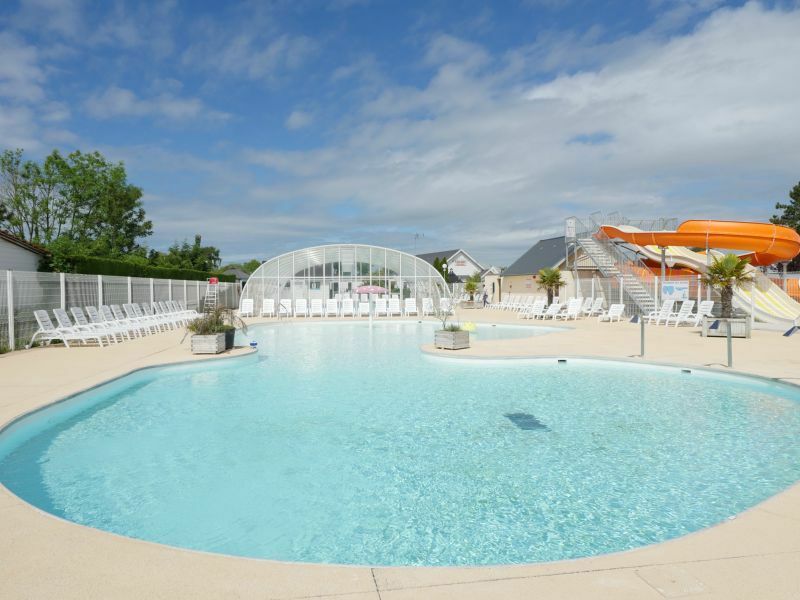 In July and August, the water park is expanded, with a second swimming pool, the perfect spot for a swim under the blue skies of Picardy in the hottest part of summer! 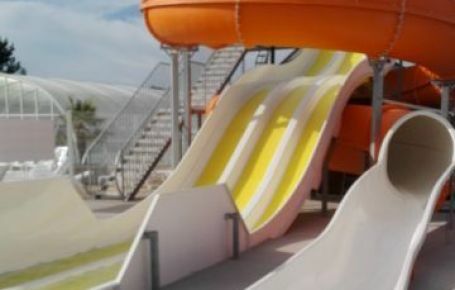 Slides in the water park! 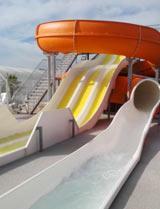 From May to mid-September, make the most of the campsite’s two water slides and glide down into the water at top speed! 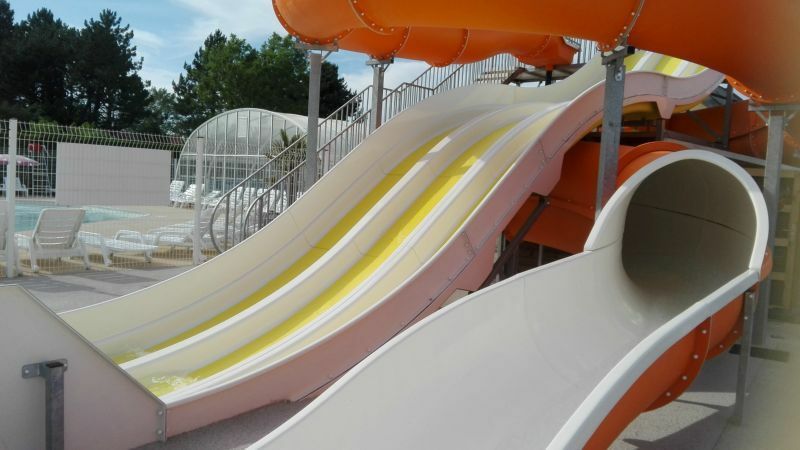 All ages can race down the waterslide with its 3 lanes or hurtle down the spiral slide before the final big splash in the pool! 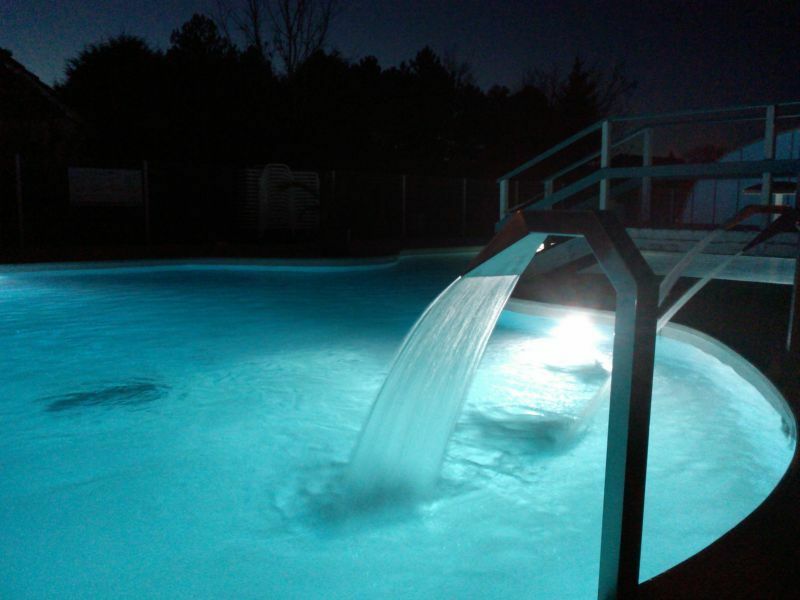 Access to the pool is reserved for our guests with identification bracelets. 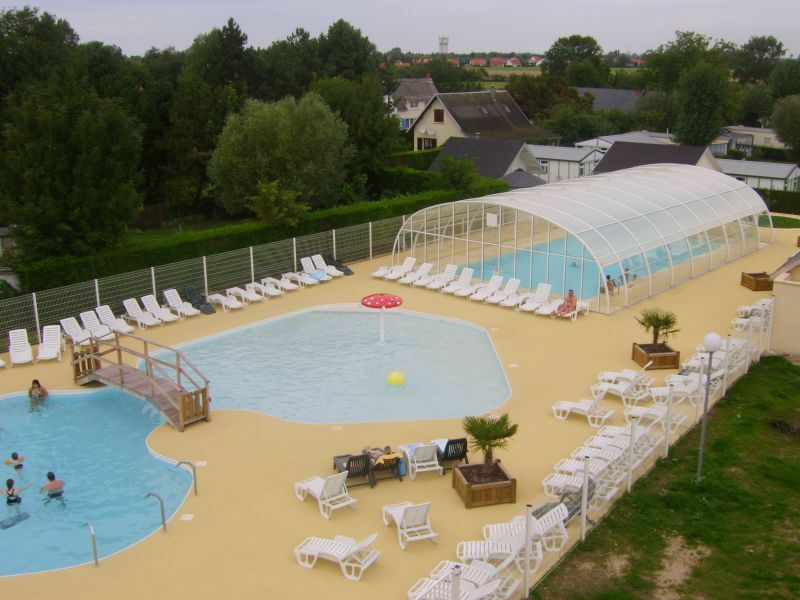 The covered and heated pool is open from 6 April to 31 October. 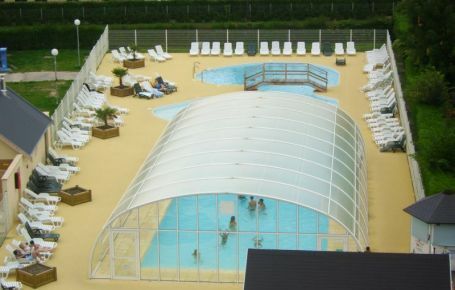 The outdoor pool is open in July and August. 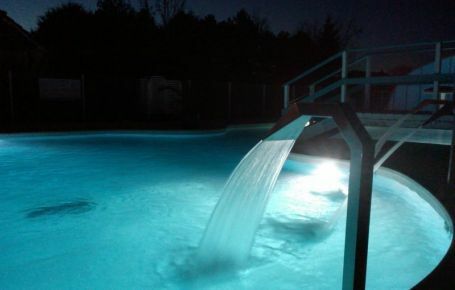 Shorts, boxer shorts, bermuda shorts and long swim suits are not allowed for reasons of hygiene. 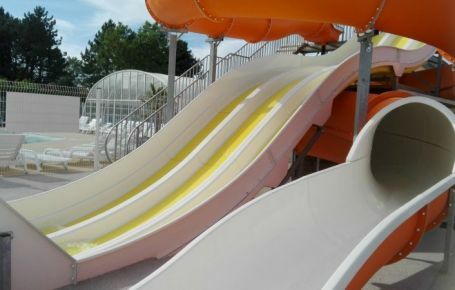 Children under 10 must always be accompanied by an adult. 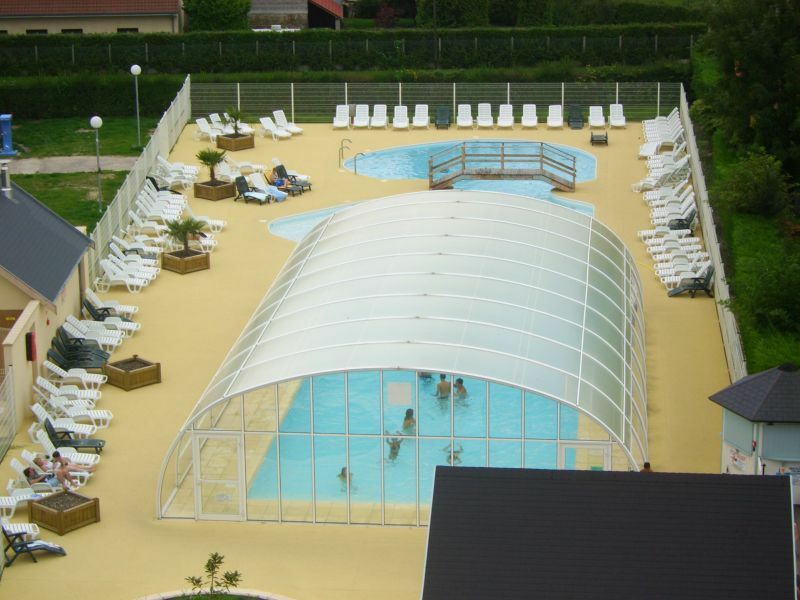 Despite the presence of a lifeguard at the pool, the campsite disclaims all responsibility in the event of an accident. 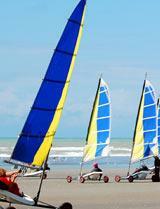 Parents are wholly responsible for their children and must always supervise them. 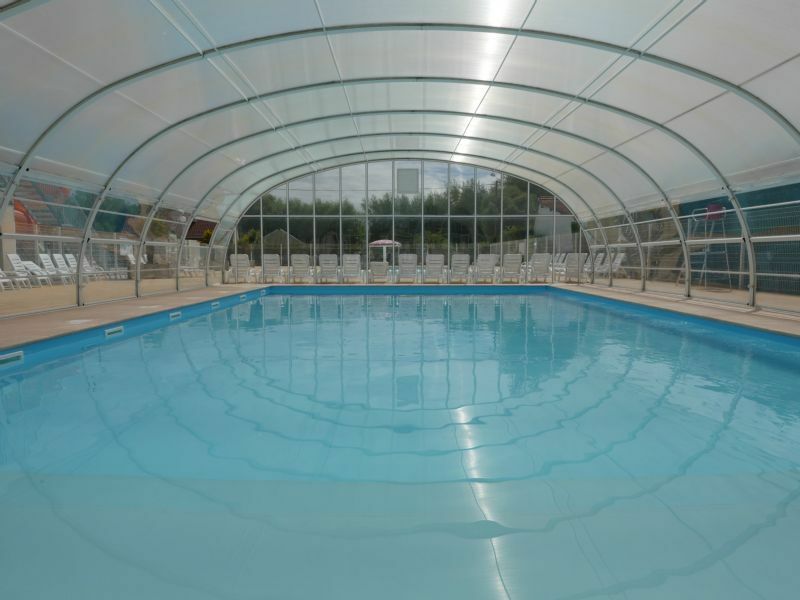 For the safety of children who have not yet learned to swim, make sure they have a rubber ring or armbands (armbands are on sale at reception).